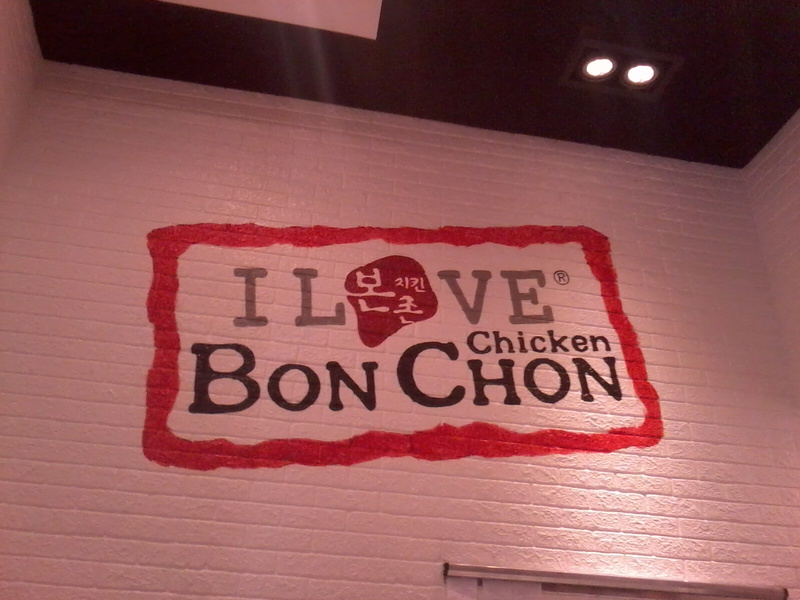 I don't know why but it took us ages before we were able to taste Bon Chon. And now we're hooked! And I don't even mind the long line to the counter. 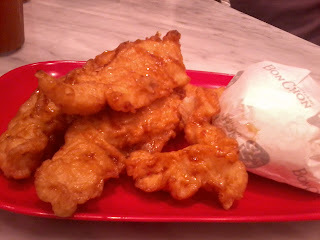 This chicken-place is super super delish! 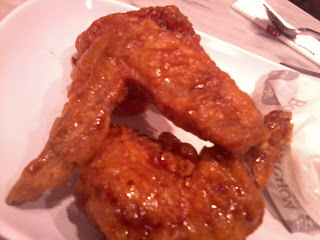 Twice-fried chicken in their special soy-garlic sauce (that's toyo & garlic) or spicy sauce is definitely a hit for all ages. Yes, really. Must-try also is their chapchae (sorry, guys ... no photo) and french fries.